It's been a long time coming, but it looks like 20th Century Fox has finally come to their senses. Four months after the Fantastic Four reboot's disastrous release, the studio may have finally canceled their plans for The Fantastic Four 2. The sequel was originally slated for release in June 2017. But Fox has now pulled the release date from their upcoming slate of movies. Fantastic Four proved to be one of the biggest bombs of the summer, as it struggled to find an audience. Things didn't look good from the outset, and the aftermath saw a brutal blame game play out between the studio and director Josh Trank. Despite the fallout, 20th Century Fox claimed that it was still moving forward on a follow-up. The studio hasn't commented on the sequel's disappearance from their impending schedule. But this could be the first sign that the superhero family is heading back home to Marvel Studios. At the time of Fantastic Four's disappointing debut, it was heavily speculated that Fox would replace The Fantastic Four 2 with Deadpool 2, and it's looking more and more likely that this will happen. There's also the possibility that Gambit, which is still scheduled to arrive in October of next year, could slide into The Fantastic Four 2's old slot due to production delays after that X-Men spinoff lost its director. Box Office Mojo was the first to deliver the not-so-surprising news. But 20th Century Fox has not made any decisions on how they plan to use their release date, or if they will surrender it to World War Z 2, the only other movie set to open on that weekend. The weekend following the June 9 release date window will see some serious competition coming in the form of Cars 3 and Fox's own much-more anticipated sequel Kingsman 2. It's possible that the Marvel movie was put on hold so it wouldn't be in the way of this sure-fire blockbuster. 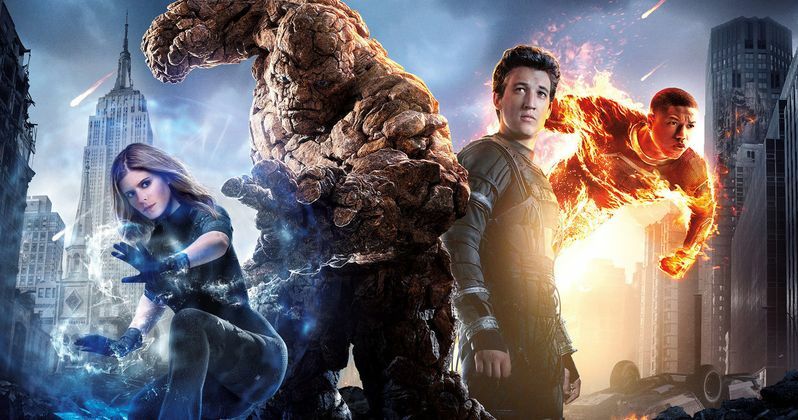 Though it looks like The Fantastic Four 2 is going into the dustbin of movies that almost were, the studio might not be completely done with the franchise just yet. The cast is in place, which means they could all return in an X-Men/Fantastic Four Crossover Movie, which has often been teased in the press by those working on both movies. And as noted, it's possible that Fox is planning a major overhaul of the series, and will bring in a new director to course correct this sinking ship. At least for the moment, the sequel seems to be on indefinite hold. It's doubtful that 20th Century Fox will attempt a third reboot for the franchise. And if that happens, it will probably be a long time coming. Right now, it seems as though audiences aren't interested in these characters. Perhaps moving back to Marvel Studios and Disney is the only thing that will work in their favor. What do you guys think?